We are thrilled to be celebrating our 15th year as the region's first Automall powered by Carbase! We want to devote this milestone to our loyal and dedicated users by offering an enthusiastic THANK YOU by making it the #1 Automall in the area! To coincide with this celebration, we've released a new site which includes fully responsive, mobile-friendly technology plus a faster search engine. Also, back by popular demand, we've re-introduced Powershop and Autonotify! We are confident the new look and ease of shopping on either desktop or mobile will make your search productive and more informative. We welcome your feedback and questions. 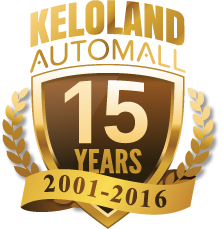 Thank you for using the KELOLAND Automall-we appreciate you and look forward to continuing to provide you with the best online vehicle shopping experience in the area.